No job too large or small for our experienced team of professionals. Covering towns in Hertfordshire, Bedfordshire and Cambridgeshire. Fully insured. Fully qualified. Chartered Institute of Plumbing and Heating Engineering registered plumber. Trading Standards approved. CRB Checked. 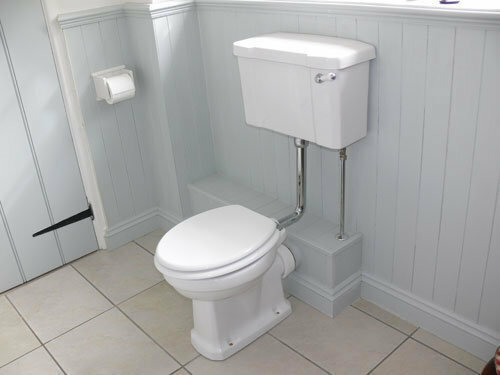 Established in 1977 and becoming a Limited Company in 2003, We have an excellent reputation providing plumbing services and Bathroom installations to both commercial, Schools and domestic customers. 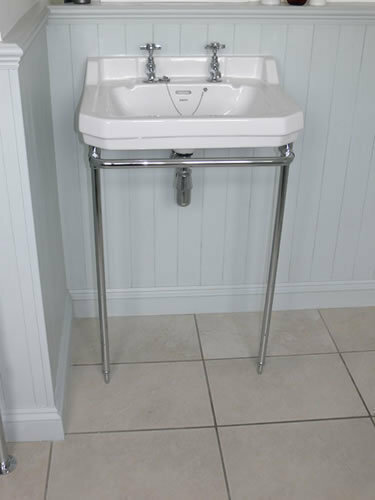 Our team has undertaken countless Plumbing and Bathroom installations, and completed them from start to finish. To learn more about what we can do for you, why not get in touch today. Excellent work completed on time. I had a complete bathroom re-fit and was told it would take 10 days and the job was completed on time. The work was done efficiently and professionally and the house was left spotless each evening on completion of the days work. Kevin Fairey was very good at offering advice on the choice of goods to be used. I am delighted with my new bathroom and would be happy to recommend the company to anybody. Kevin created a partion wall in my bedroom with a sliding into the cavity then installed shower, toilet and washbasin in the resulting space. I was impressed with the detail of his quotation which meant I knew exactly what was proposed. He worked steadily, cheerfully and tidily, always turning up when he said he would and the result is a lovely shower room. His colleagues did a great job on the electrics & plastering. Kevin repaired a toilet system for me while he was there too which now works better than it ever did. Kevin made a reality of my slightly crazy idea of squeezing a shower, toilet and washbasin in to my spare room. The result is better than I thought it could be. He worked steadily and tidily building a double skinned wall so the door slid inside & didn't take up valuable space and then tiled & installed the fittings. His plasterer & electrician did really good work too. Everything was cleaned up beautifully afterwards. Kevin, together with his working partners, provided an excellent service to renovate and refurbish our Bathroom. A full and detailed estimate of work to be carried out was provided and agreed. Work started on the appointed date and as planned. Some additional works were later agreed and incorporated. 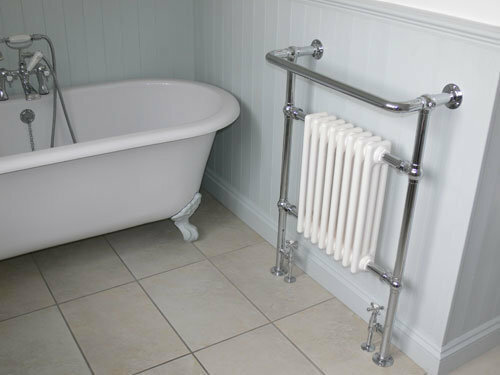 We now have improved plumbing; new ceiling; new w.c & handbasin; new dual fuel towel-rail/radiator; new tiling; new walls; new lighting; new electrical fittings - and all installed to a high standard. We are very satisfied with the finished result and are grateful to Kevin and his partners for their expertise. And they're such nice people!! Thank you! Kevin took a fully tiled bathroom with a 4-piece suite back to bare walls and then installed a walk-in shower, wc and hand basin into a part tiled / part painted room. This included pipework, boxing, tiling, flooring etc plus plastering and electrical work using his regular contacts. He was readily available before the job started to give advice, eg on options or on those materials I was to supply. The work started and finished on the due dates; the plasterer and electrician did their work on the planned dates and all the rubbish was taken away on the last day. Kevin worked hard every day, never going off to any other jobs – this was his sole task. He protected carpets and other furnishings and cleaned his work areas at the end of each day and kept water and power available throughout the job; ie, disruption was minimal given the nature of the work. Above all the outcome of his work was a high quality installation with great attention to detail – we are delighted with the result. Overall this was a job perfectly executed to a very high standard in a very customer friendly way. I would highly recommend Kevin. Came and removed the redundant washing machine filter pipe, which had started leaking every time I used washing machine. Plus, the washer on the hot water tap was replaced. All done within half-an-hour. We could not have asked for a better man in Kevin Fairey, to do our work. He was always punctual and there was no second best. If something wasn’t correct he would always resolve it. He took pride in his work and thus we are very happy clients. I cannot praise his work highly enough, a true craftsman. 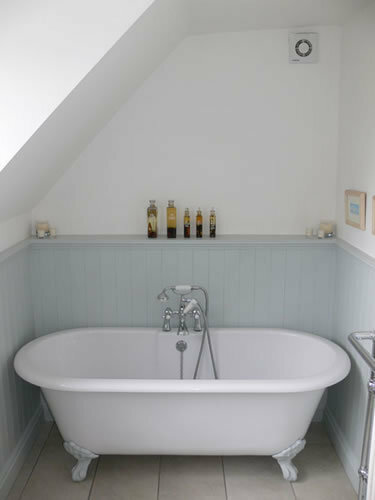 Mr Fairey has carried out two projects for us, the bathroom and most recently the cloakroom. He is a very professional and experienced workman. He is always willing to advise and is keen to carry out the work to the customer's requirements. He always responds when contacted and we always felt confident in his standard of work. He is respectful of where is working and takes great care. He never leaves without clearing up first. We are delighted with the outcome of both projects. Both rooms look amazing. We would not hesitate to recommend him.